Bellevue's dam is a version known as a "low head" dam. 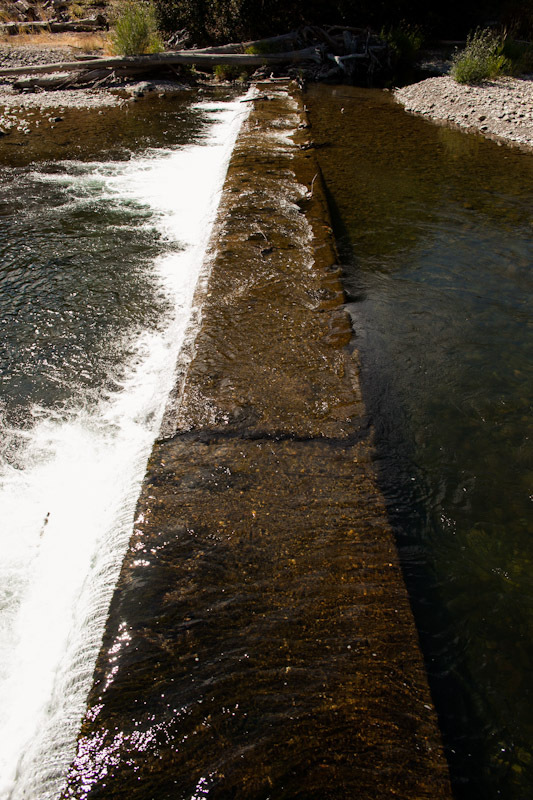 Low head dams create recirculating hydraulics and are the cause of many drownings; please click here for more information on the danger posed by these dams. Our area has been lucky that no lives have been lost here. We need to alter this dam so that it still serves its original purpose of diverting water through the headgate and into the canal for agricultral purposes, but also, becomes a safe place to enjoy. Get approval of Master Plan from the City of Bellevue and Wood River Irrigation District #45. Specifics are added to the conceptual design. Get approval for the 60% design plans from City Council and the irrigation district. Applications submitted to governmental agencies for permits to construct the approved plan. Construction documents and design finalization are created. Most likely to occur in the late Fall, this phase should only last 2-3 months.